Minimal communication seems to work without the cerebrum. If one excites the thalamus or brain areas in its vicinity with specific impulses, even patients under general anaesthesia wake up temporarily. Fully conscious however they are not. Actually, the patient should have noticed nothing of the entire operation. The doctors wanted to help the patient who for a long time suffered from a tremulous cervical dystonia using DBS. The operation in Hamburg Clinic Eppendorf turned out successful, although not without incident and with a particular shock for the participating anaesthetists. As the neurosurgeon stimulated the globus pallidus using 130 hertz, the 42-year-old patient suddenly opened her eyes and even responded with movements and to commands. An anaesthesia error, as occurs in one or two cases for every 2000 operations? In such a case a patient wakes up or is not at all asleep in the first place, and is thus a witness to the operation on their own body. No, not an anaesthesia error. More likely, the brain researchers have run into a centre which is at least partly responsible for monitoring the states of being “awake” or “absent “, “conscious” or “unconscious”, because the observation has now been confirmed in nearly a dozen other patients there. Simultaneously upon awakening via electrical surge, the EEG measure, cardiac and respiratory rhythm changed. The higher the intensity of the stimulation, the stronger the waking state. Because it happens that the stimulated person listens only to specific commands, researchers can exclude the possibility of the induced wakefulness being a reflex. If the electrode used is no longer running power, the wakeful state is also over. The surprising observations made by the team led by Christian Moll are not totally new. For quite some time we have known about the mental changes under influence of electrical impulses in the thalamus of test animals. Here too the EEG signals change. The recorded patterns are remarkably similar, regardless of whether the animal wakes up in a natural way or via current pulse. With brain surgery on people because of dystonia, epilepsy or neuropsychiatric disorders, doctors repeatedly saw the matching EEG images and modes of behaviour when they provoked regions in the forebrain. Recent studies using titrated sedatives show that unconscious subjects can fully open their eyes on command, even though the higher brain centres in the neocortex are still in a sleep state. In a paper published in the journal Neuroscience in April of this year, Finns Jaakko Långsjo, Harry Scheinin and other colleagues from the University of Turku reported that their subjects upon waking from anaesthesia to begin with activated subcortical regions in the limbic system without them being conscious of their response to spoken instructions. Michael Alkire from the University of Wisconsin, one of the co-authors in Langsjo-paper, wrote in 2008 in a Science Magazine review that “patients under anaesthesia can sometimes carry on a conversation by giving signals with their hands. After surgery, they cannot remember ever having been awake”. Such communication is made possible by the forearm being bound off during induction and thus remains mobile while the rest of the body is paralysed. The thalamus seems in the “awake or not awake” question to play a central role. During anaesthesia, the activity in this region declines significantly. If one subverts this molecular radio traffic system in rats by injecting an antagonist to the neurotransmitter GABA into the thalamus, they immediately lose consciousness. 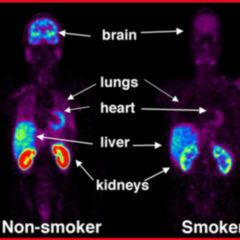 A nicotine injection brings about the reverse reaction. Could stimulation also serve to reawaken coma patients? For quite some time researchers involved in studying unconsciousness have posed this question. Already in the 80s of last century a multicentre study aroused such hopes. There was success with some of the 50 patients in the “minimal conscious state” in improving “functional communication”, that is improving the response to something being specifically verbally addressed for the duration of stimulation. A lasting improvement also over a long period after the electric pulses has not yet been described. 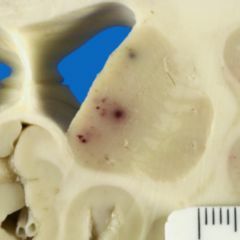 Even Steven Laureys from Liege, one of the most experienced coma experts worldwide, is cautious and sees deep brain stimulation as still being far away from clinical application by his research collective. The same applies for other disorders of consciousness such as epilepsy seizures. Wakefulness and awareness seem to be two notions which in the field of neurology are seen as not directly dependent on each other. 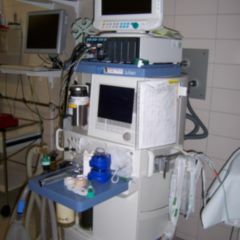 DocCheck reported in 2008 on a coma patient with whom communication was possible. When doctors asked her to think of a tennis match, exactly the same pattern lit up in the brain as that of uninjured subjects. Anaesthetics given in a limited dose close to the threshold of unconsciousness block the working memory. The possiblity is not to be excluded that the patient under general anaesthesia does indeed hear what his or her environment is discussing, but does not react only for the reason that he or she immediately forgets what is said. An “awakening event” in the Hamburg clinic is remembered by none of the affected patients. Nevertheless the question remains with operating procedures: is the memory gap a sign of a sufficiently deep anaesthesia during major surgery? Even if the cerebrum is in “off-mode”, other areas could be responsible for stimulus acquisition and processing. 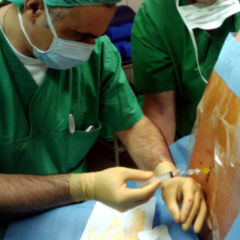 A guarantee that the patient does not realise what the surgeon does with him or her it is probably not.